This Top 20 chart reflects the potency of songs tested by TroyResearch clients in the previous 2 weeks. Is it NOT an airplay chart, in no way reflects spins, and only rarely include data on songs defined as recurrents by the Christian radio and records industry. 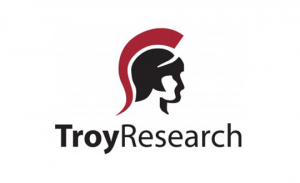 For more information, contact Jonathan Little at jlittle@troyresearch.com. NOTE: the labels which underwrite the production of the chart requested that songs that are “over” promotionally be removed from the chart.